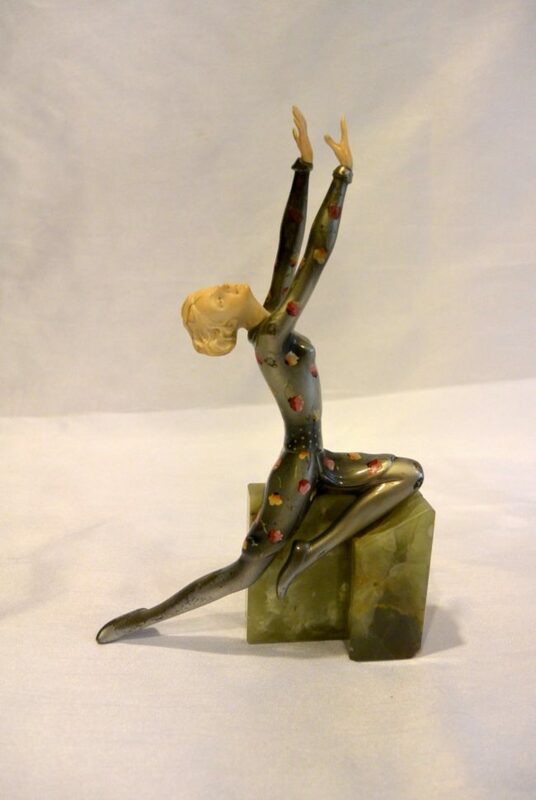 An art deco chryselephantine figure of a dancing lady with a silver painted dress with phantasy flowers by Crejo. The face and hands are ivory cut and light brown patinated. The body is of bronze. Credo was a friend of Lorenzl and painted very special figures of the designer Lorenzl. The figure is signed with Lorenzl and with Crejo.